Taxes on your home can create a financial burden if you are paying more than necessary. You may be eligible for certain property tax breaks that can reduce your liability. The real estate attorneys at Pulgini & Norton can help you determine if you are paying the right amount of taxes on a property near Boston. We have more than 40 years of combined experience representing homeowners. Homeowners in this state have to pay taxes on their property. Massachusetts communities determine their property tax rates each year, subject to Proposition 2½. The statute limits how much a city or town can assess in total taxes to no more than 2½ percent of its full and fair cash valuation in a fiscal year. Property taxes are generally assessed to whomever owns the property on January 1. They are based on the land and any improvements, such as buildings. They are also based on whether the property is classified as residential, open space, commercial, or industrial. Personal property taxes are those related to any tangible assets that are not permanently affixed to the property, such as equipment. Property assessors determine the fair cash value of a parcel based on the condition of the home, any improvements, and ownership. Most properties are assessed on January 1, but certain exempt properties are assessed on July 1. You must pay taxes on your home based on the assessed value of the property and the applicable tax rate. You may, however, reduce your tax liability if you qualify for certain exemptions or abatements. There are two ways in which you may be able to reduce the tax bill on your home. An exemption is a deduction that the state allows you to take in order to reduce your obligation to pay a certain tax. Abatements reduce the assessed value of your property, and they are generally granted if a property assessor improperly classified, over-evaluated, or disproportionately assessed your property. In Massachusetts, you need to apply and qualify for an exemption or abatement to reduce or possibly eliminate your tax liability. State law permits cities and towns to issue residential exemptions. This is a dollar amount that is exempt from taxation, thereby reducing a homeowner’s liability. For instance, if the residential exemption in a given city is $4,000, a home with a market value of $200,000 would be taxed on $196,000 of its value. You must apply for a residential exemption and occupy your home as a principal residence to qualify. You have a hardship due to age, infirmity, or financial condition. In most cases, you will also have to meet certain income, asset, ownership, and state residency requirements. You have the burden of proving that you qualify for a particular exemption. In the case of an abatement, you will need to include information to help determine your property’s fair cash value. If you are granted an exemption or abatement, it is only applicable for the tax year in which it is granted. You must re-submit an application for each year in which you believe you qualify for an exemption or abatement. 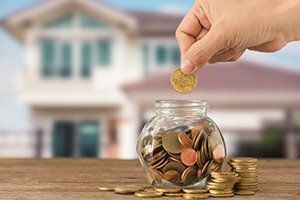 If you want to reduce your tax liability for a home in Boston or the surrounding area, the property lawyers at Pulgini & Norton can help you. We provide knowledgeable and experienced guidance in real estate matters. We can discuss whether you may reduce your tax liability through exemptions or abatements and assist you through the application or any appeals process. Our attorneys represent homeowners in Hyde Park, New Bedford, and Quincy, among other Massachusetts communities. Call our office at 781-843-2200, or contact us by filling out our online form to schedule a consultation.